In his first half with the Chicago Bears, Khalil Mack has made his mark. The superstar defender forced (and recovered) a fumble when he literally ripped the ball out of the DeShone Kizer’s hands. Later on, he intercepted a Kizer pass and took it to the house for a touchdown. Twitter had a lot to say about Mack’s performance. Tweeters also did not let Mack’s old team — the Oakland Raiders — off the hook. Gruden said they had to trade Mack last weekend because they didn't know if they'd ever get as good an offer. Time for Khalil Mack to renegotiate! If you are the Raiders front office, turn the tv off it will make you sick. Yes, I’m a lifelong Raiders fan! Bears you are a dangerous football team! 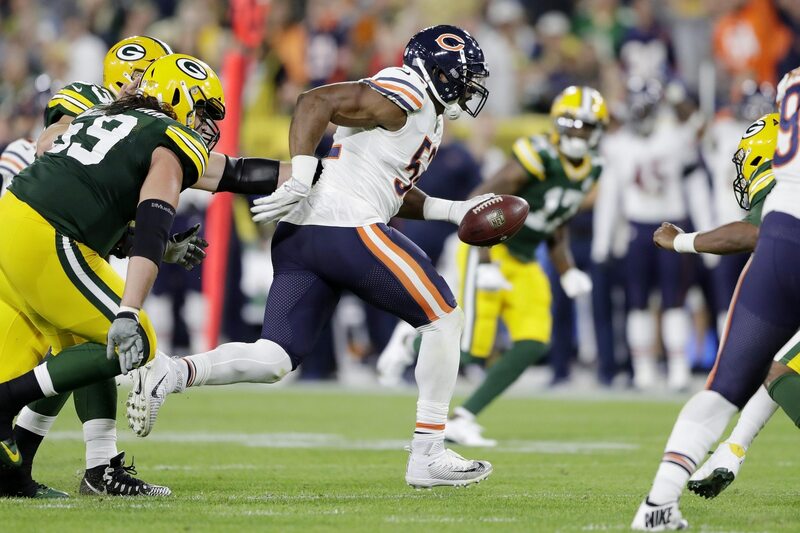 Khalil Mack if you need him. But the Raiders apparently didn’t. What did the Raiders get for Mack? The first half couldn’t have been a lot of fun for fans of the Green Bay Packers. But we’re also guessing it wasn’t much fun for the Raiders or their fans, either.